Euclea nanina - Hodges#4697.1 (Nanina Oak-Slug Moth). This is, in my opinion, a very unusual looking moth. Apparently it is difficult to distinguish adults of Euclea delphinii and E. nanina. 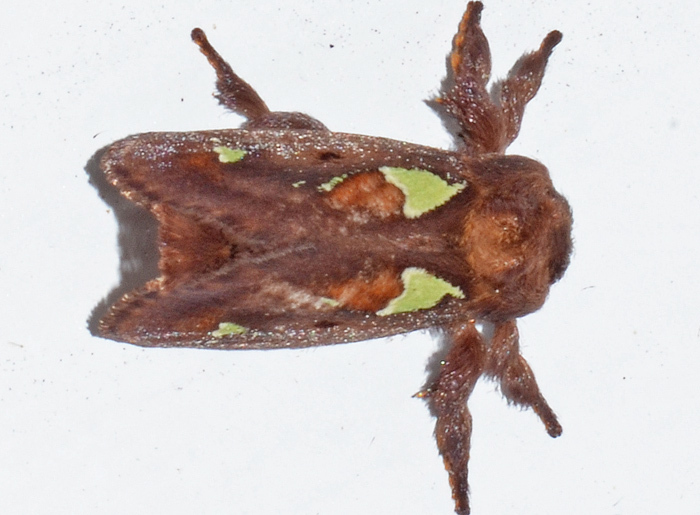 Individuals of both species have varying amounts of green on the forewing and their ranges overlap from South Carolina to Florida, west to Texas but are overall not very common.